Item Number: 93-5-05 19287 Actual Weight: 0.6 lb. Organize paperwork for warehouses, office use, or classrooms. 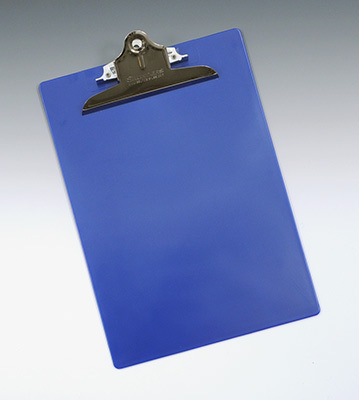 Clipboards have hang holes and hold letter-size and A4-size documents. Antimicrobial clipboard is EPA-registered and has a sanitized antimicrobial additive to prevent germ growth.